Told in a creepy first person, a disembodied voice, a voice that decries the day it discovered “the book”, in a library beside a great black oily river. The voice has forgotten its family, its life, even its own name. You will never forget this story. Probably written in 1933, a point at which Lovecraft was at the height of his powers, it shows. Randolph Carter, who we already know from The Statement Of Randolph Carter recalls the events which followed their visit to an Arkham, MA cemetary. This is the only story in this collection considered part of the Cthulhu Mythos and Carter is probably the only character to survive two brushes with the who should not be named. First published 1923. British actor David Cade reads all four tales. There is some question in my mind on one matter, does having an English accent whilst reading very American stories necessitate a conflict? It probably would if there was much dialogue – but seeing as Lovecraft was far friendlier with exposition than he was with speaking parts it isn’t much of an issue at all. Cade is effective at bringing the mostly expository prose to gruesome life. All four stories are framed by muscial excerpts that are very well matched to the thematic material. One thing that bothered me greatly though was the lack of titles, each track is distinctly seperated by music, but the stories themselves are not named in the audio, one must look at the back of the CD case to find out which story you are listening to – something a blind listener would be unable to do. 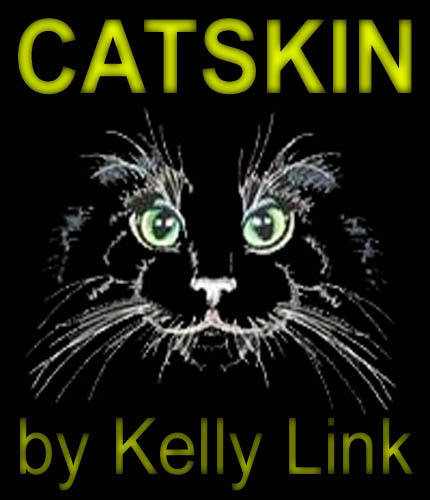 This short story by Nebula, World Fantasy, and James Tiptree Jr. Award winning author Kelly Link can be heard by listening to this archived radio show. This is an unusual tale of the death of a lonely witch whose magical family must deal with the death of their mother. Frightening mental images and an unconventional approach to traditional horror and fantasy marks much of Kelly Link’s work . Like Neil Gaiman, Link is working with traditional themes, but overturning our expectations and that’s a good thing. Unfortunately, Link reads this tale very matter-of-factly, something all too common with author-performed stories and of course this adds nothing to an otherwise interesting tale. Link’s reading is also accompanied by a constant tinkling and trumpeting musical background – if it merely introduced and concluded the reading it would be great but because it doesn’t it simply distracts from the telling. One other minor issue is the long pauses up to six seconds. Such pauses make the listener think the reading has concluded prematurely. Despite these audio production problems, Catskin makes for a chilling Halloween themed listen. *Be sure to zip all the way to the end of the first hour of the show and then to the 2 minute mark of the second hour of the show.